Dawn McKenna is the Office Manager for Ajo-Kinney Super Storage. 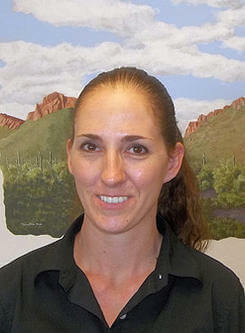 She comes to us with previous experience from managing another storage facility here in Tucson. She has worked in the self storage business since 2009. Dawn has lived in Tucson most of her life. She was born in Iowa and moved here to Tucson when she was three. She moved back to Iowa in the 90's and went to Emmetsburg College, then moved back to Tucson. She has three beautiful children and when it's football season you can find her on the field cheering for her son. She enjoys spending time with her family, friends and her boyfriend. Stop in the office and meet our new addition. She can't wait to meet everyone! Check out our "Storage Tips" Page to see what tips she has to offer for your move or to just see what is going on at Ajo-Kinney Super Storage.